Sheila shared her heart in this book. She shared the real and the raw of her life. How she was in a psychiatric hospital, yet she was loved back to Life. She was in a dark place in her life and thought her ministry was over. 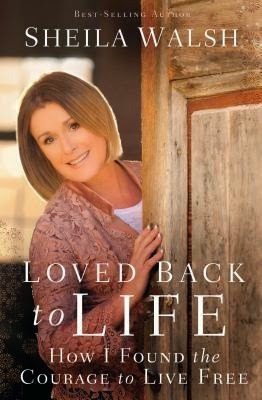 Loved Back to Life, a spiritual memoir, bursts the boundaries of its genre by teasing out biblically sound teaching from the narrative of Sheila’s anguish and recovery process, and also by debunking some of the faulty theology that shames and silences individuals and their families who suffer from mental illness. She is a world known Woman of Faith speaker and author of several award winning books. Fantastic read, the truth will set you free. Get real before God and self. Powerfully testimony of God's love. Depression is real, even with Christians, the wisdom of God reigns supreme. Thank you Sheila for sharing your heart. I was given this book for the purpose of a review thru Book Look Bloggers.